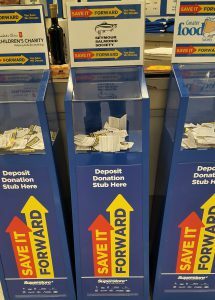 The Save It Forward program is back in the New Year! Running in Real Canadian Superstore (Seymour Parkway, North Vancouver). You save and Superstore donates to the Society.